A uniform looks smart, wears well and contributes to the feeling of belonging to the school. If you have any queries regarding uniform please contact the school office. White blouse, shirt or polo shirt. Green school sweatshirt, jumper, or cardigan. The summer uniform for girls is: green gingham or striped dresses or smart tailored black or grey shorts of knee length or below. White shirt or polo shirt. Green school sweatshirt or jumper. Green fleece jackets with the school logo can be worn. Socks, tights and leggings must be white, grey, dark green, black and must be plain. If headscarves are worn for religious reasons they must be black, green or white. 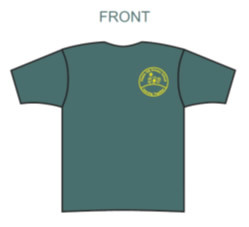 Black shorts, black daps or trainers, T-shirt or polo shirt: bottle green or school PE t-shirt with logo on front (no printing on back). In cold weather plain black jogging bottoms can be worn. PE kit is worn to school on PE days, instead of usual uniform. Children in Key Stage 2 will need a towel and a dark swimsuit for swimming lessons. 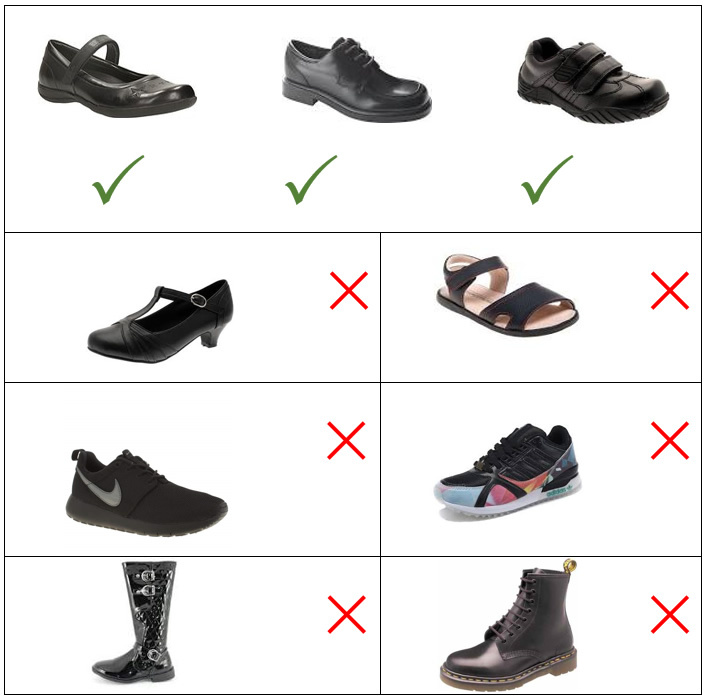 Plain black flat sensible school shoes or plain black trainers. Enclosed black sandals in the summer. No additional decoration of: buckles, studs sequins, extra zips, coloured logos/swoosh, coloured soles – only plain black shoes/trainers. Boots, High heels and Open-toe sandals are not allowed. The wearing of jewellery is not allowed in school except for discreet studs if a child has pierced ears. Watches may be worn but the school takes no responsibility for the safe-keeping or for loss or damage of such articles. In certain instances the wearing of jewellery can be dangerous such as in PE lessons, for health and safety reasons no jewellery can be worn during PE lessons. The exception to the rule is in the case of recently pierced ears where a stud earring can be worn to prevent the hole from closing before it is established. During this time a plaster must be worn over the studs in PE and during swimming lessons. The wearing of make up (including nail varnish) to school is not permitted.